Erected by Alexander Mackay to the memory of. Ann Sutherland died 20th March 1795 aged 44. 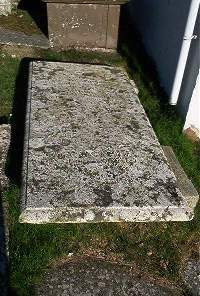 Husband Alexander Mackay, catechist of Houstry Dunbeath, died 15th January 1817 aged 70. Daughter Ann Mackay died 20th October 1837 aged 40. Son James Mackay of Houstry died 6th July 1822 aged 24. Wife Barbara Gunn died 12th September 1812 aged 27.